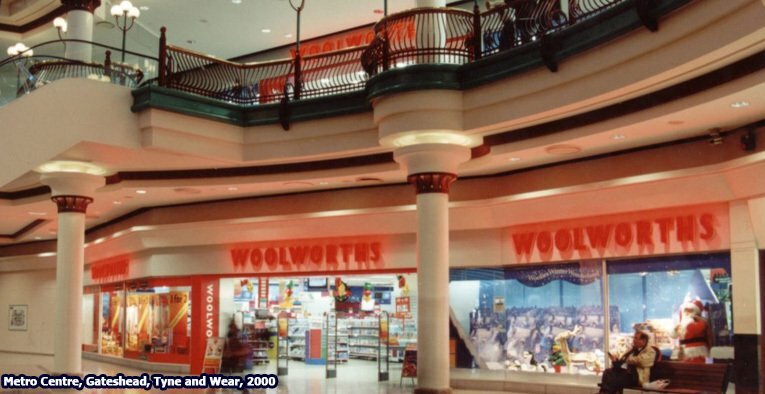 Virtually every Woolworth store was originally built with large, illuminated enclosed windows. 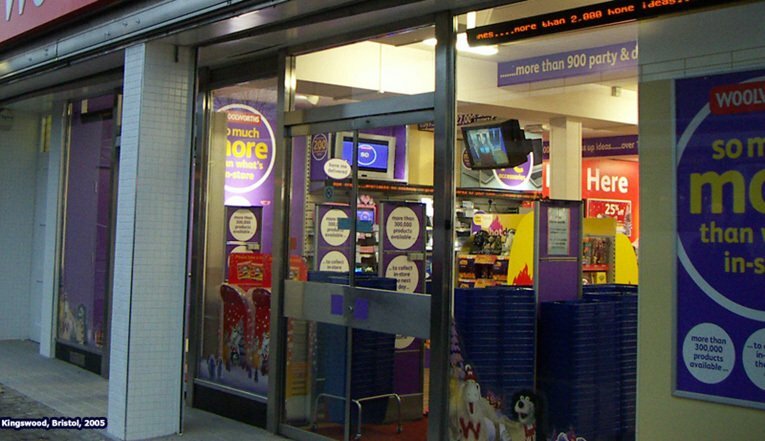 In the Company's heyday they were an important part of the offer, and treated as a silent salesman, tempting passing shoppers to step inside. 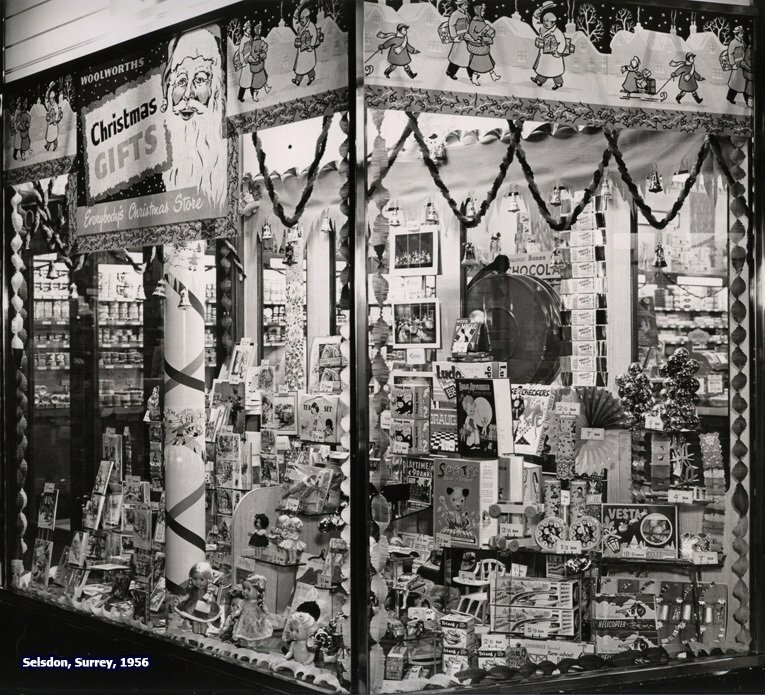 Before World War II the larger stores employed professional window dressers who changed the displays up to twice a week. Every layout was meticulously planned. Creating the look presented a tough challenge. The dresser had to do everything in the right sequence. Everything had to be up the right way and facing towards the front. And strict rules governed what signs to use. The hardest bit was getting out of the window when it was complete without knocking anything down! 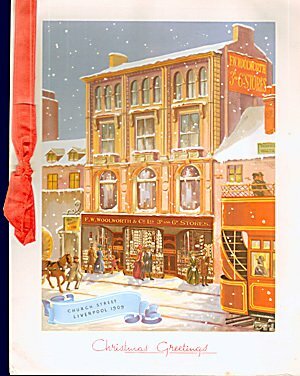 On this page we explore how the Christmas displays changed through a century of trading in the British High Street, looking back to the days when 'doing the windows' didn't simply mean hanging a cardboard banner. 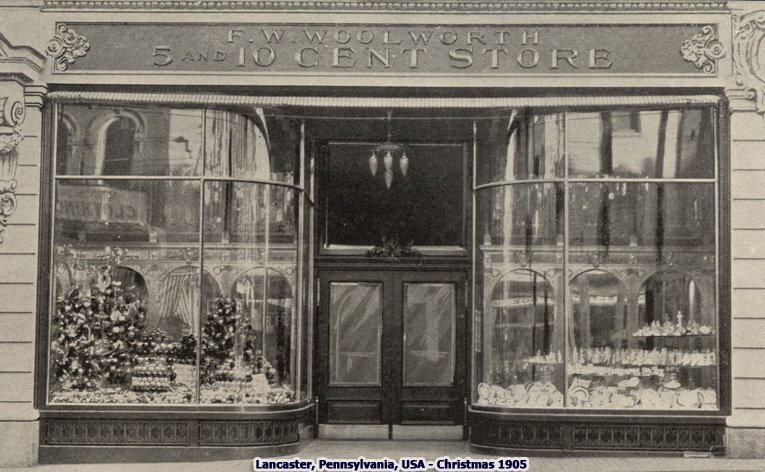 Frank Woolworth used to tell his team that the store windows were their advertisements. 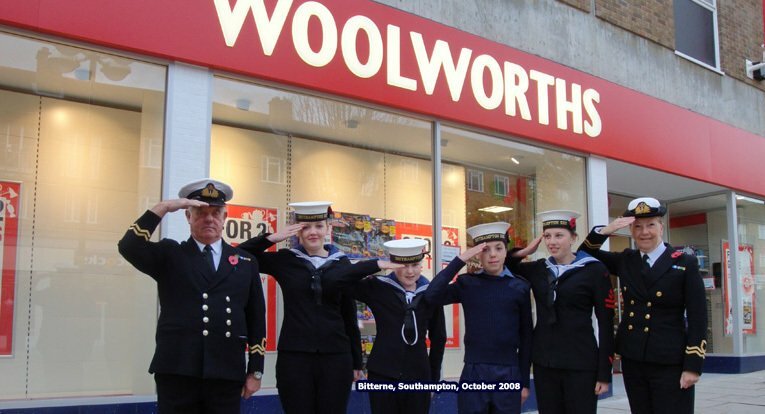 He always placed his stores at the heart of the High Street, where the town was busiest, and then relied on good displays to lure customers inside. 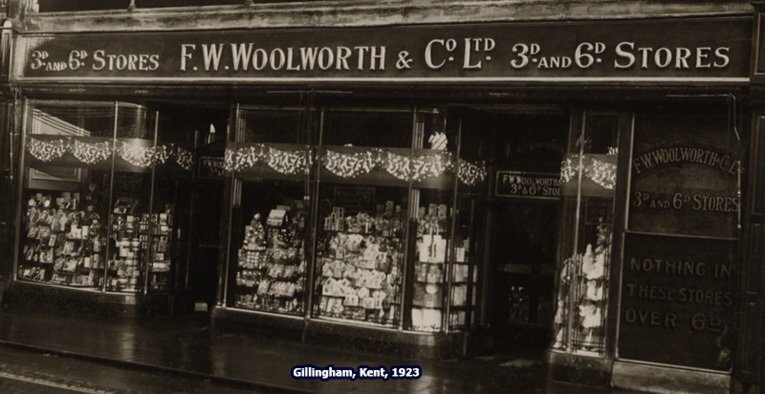 On this page we've collected together photos of how the window displays changed over a century of bricks and mortar trading in the United Kingdom. 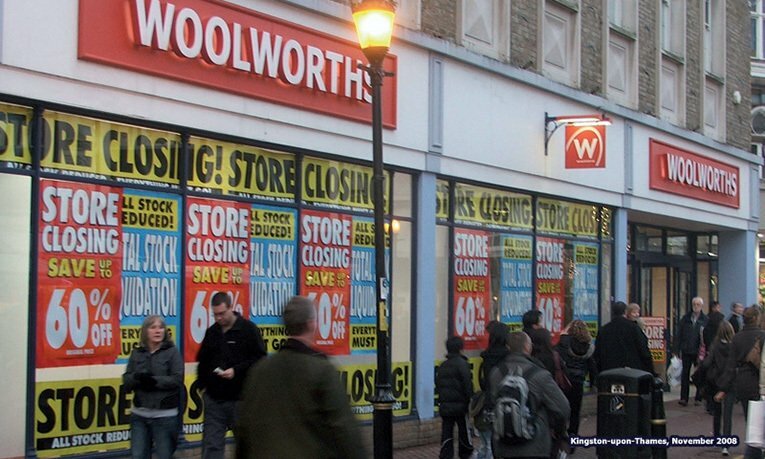 Today you will have to travel to Germany, Mexico, the Caribbean or Zimbabwe to visit a Woolworth shop. That's a long way to go for some pic'n'mix candy and a light bulb.